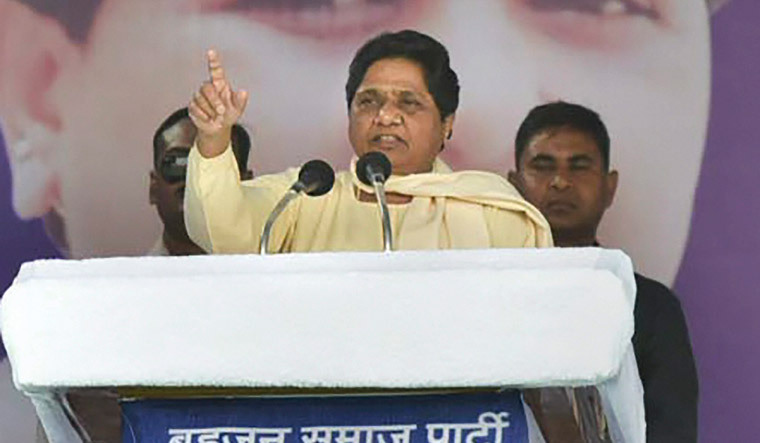 Uttar Pradesh Chief Minster Yogi Adityanath's recent claim that Lord Hanuman was a dalit drew a sharp reaction from Bahujan Samaj Party supremo Mayawati, who said on Thursday that the Bharatiya Janata Party is dividing even deities on caste lines. “BJP's top leadership has stooped to such a level for votes that they are not even sparing the deities,” Mayawati said, addressing a gathering of party functionaries at an event in Delhi to mark the death anniversary of B.R. Ambedkar. After dividing people, the BJP is now dividing deities on caste lines, said the former chief minister. Earlier, while addressing an election rally in Rajasthan, Adityanath had reportedly termed Lord Hanuman as a dalit. “Hanuman was a forest dweller, deprived and a dalit. Bajrang Bali worked to connect all Indian communities together, from north to south and east to west,” he had said. The chief minister's remarks had sparked off a storm with even a minister in his own cabinet coming strongly against it. Mayawati said following Adityanath's statement, people have been demanding that dalits be appointed as priests in Hanuman temples. The BSP chief also slammed the saffron party over the Ram temple issue, saying when the common man and farmers are suffering, the ruling party is talking of constructing a temple in Ayodhya.